China has over 150 online shopping retailers, some we’ve written about before, and others we will be writing about later (shopping for kids, groceries, etc.). 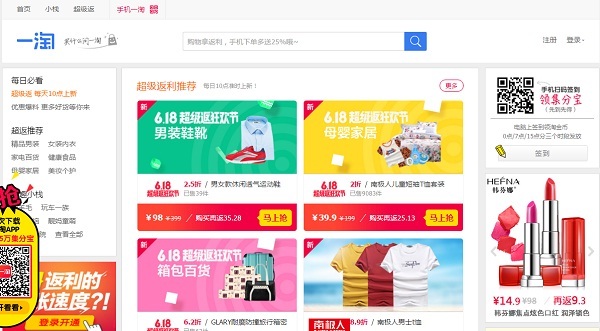 When you’re tired of browsing Taobao, here’s nine legit websites that sell a wide variety of items for you to choose from. Don’t forget, if you get their apps, you’ll instantly save money! Etao is actually not an online shopping site, but an online-shopping search engine run by Alibaba. For those unfamiliar with the service, an online-shopping search engine is basically a price and availability comparison tool. Etao includes items from foreign shopping websites as well as brick-and-mortar stores. It also finds you “special offers” on groupon type websites. Dangdang started out in 1999 as the largest online bookstore in China, providing over 600,000 Chinese books. As with most online retailers, DangDang has also branched out to sell other products, such as home appliances, clothing, tech, and anything a mother might want to buy (e.g. baby and kid stuff). It should be noted that DangDang was in the news in 2014 for poor seller requirements, having been discovered by CCTV news. A Beijinger had purchased all his Estee Lauder, Calvin Klein, and other cosmetics from the local Beijing wholesale market, Tianzhaotian and made a small fortune. Of course, DangDang took precautions and removed quite a few of its stores following the scandal, but perhaps the store is better suited for buying what it was originally meant to sell: books. 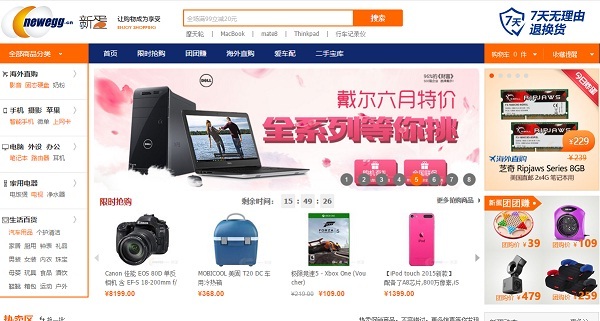 Newegg, the second-largest online-only retailer in the US, launched its Chinese e-commerce website in 2010. It advertises itself as “foreign direct purchase”, which means that goods are directly shipped from “foreign” warehouses. Newegg also advertises a superior shopping experience for consumers, rapid delivery, and stellar customer service. Newegg is typically known for its “geeky” electronics in the US, selling PC components, hard-to-find PC, tech, and other gaming gear and accessories, and better-than-Best-Buy prices for electronics. In China, it also sells computer parts and accessories, electronics, cell phones, and other high-tech products. However, it has branched out to include more household appliances and baby gear. Yes, baby gear, including products targeting mothers: baby clothes, children’s toys, car seats, strollers, and infant formula. It features cell phones, computers, household appliance, and other high-tech products. Cash on delivery, online payment (bank payments, Unionpay, Alipay, Yeepay, Sumpay, Yingdian Life Card, Tenpay), quick payment, bank wire transfer. 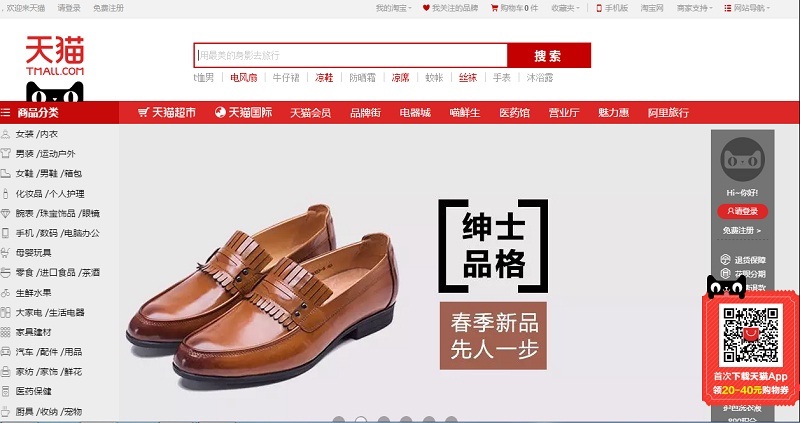 Yan Xuan, which translates to “picks” or “selection”, is a NetEase lifestyle online retailer similar to its RMB1 groupon-like shopping platform. It has a pleasant, clean design and only sells well-known foreign brands of a certain quality. Certain products of a few well-known brands include: Carter’s (only the natural line), Muji, and Coach (only leather items). For said products, if they are available in China, they’re sold at a lower price. Yan Xuan advertises itself as a filter that chooses high-quality products for the sake of the consumer. They select goods with high-quality raw materials, natural materials, low to no formaldehyde (toxic pollutant), made with imported technology (even if domestically made), and guaranteed authenticity. All the products sold on the site are approved by third-party testers: SGS, BV, ITS TOP. Natural products under the categories of: home, clothing (including maternity), kids’ clothing, accessories (including pollution masks), and food (Muji-style snacks, teas, herbs). Yihaodian (YHD) translates to “Number One Store”, and it truly strives to be the first with its comprehensive selection of, well, everything. In addition to the typical items you might normally pick up at a grocery store, YHD also has mobile phones, cameras, computers, and other household electronics. 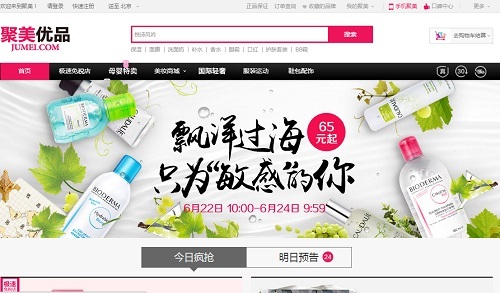 Its selection is similar to Carrefour’s, just online, and ships free to your home with any purchase over RMB 68. What makes YHD special is its cooperation with Sam’s Club (owned by Wal-Mart), the US wholesale/warehouse super store (similar to Costco). For RMB 260 a year, you can buy a Sam’s Club Membership, which is valid in-store (Shijingshan, Yizhuang) and online. The YHD outlet for Sam’s Club has special offers for their 3,500 food import products, and is also accessible via the YHD app. Cash on delivery, online payments (bank, union pay, 99bill, Alipay), bank transfer, gift cards, and other payments. Jumei literally translates to “super beauty” or “super beautiful”, and carries exactly what you would expect from its name. Primarily, Jumei is visited for its beauty products, including cosmetics and makeup. If you click on their beauty products drop down menu, you’ll find a really narrow categorization to help you instantly find what you’re looking for. For example, you can look under Skincare and click on “eyeliner pencil” without having to do a search or load any other pages. In addition to beauty products, Jumei also features clothing, fitness products, shoes, bags, and accessories. Jumei also has a selection of men’s products. Jumei trades publicly in the US market and is thus considered the most reliable online retailer for US beauty products. They have a 30 day return policy, fast delivery (free if total purchase over RMB 159), and a guarantee that your order will leave its warehouse within 1.5 hours after order processing. Before Amazon came to China, there was a Chinese version of Amazon called Joyo. Basically, Amazon in China is the same as Amazon in the rest of the world, with its major categories being: imported goods, fashion, books, electronics, gifts, household products, children’s stuff, and kindles. The best thing about the Amazon website is that you can change the interface to English, but unfortunately the product titles and descriptions, the majority of links, and the details will all still be in Chinese. 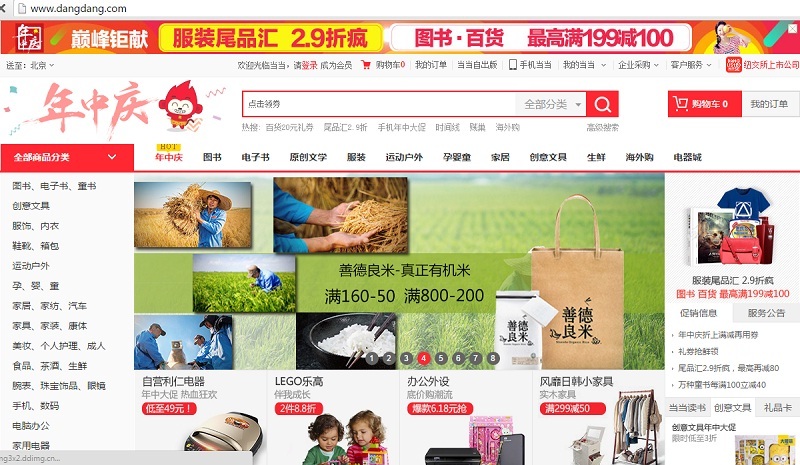 If you’ve heard of Taobao, you’ve probably heard of Tmall (called “sky cat” since 2012) as well. 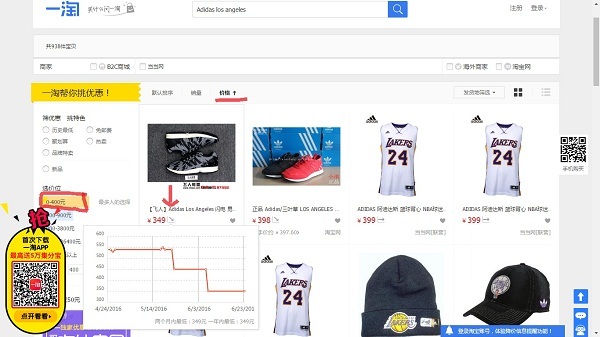 Tmall is the more “legit” version of Taobao under Alibaba. What this means is that in order to register a flagship store on Tmall, a company has to have either a unique brand or be an official brand representative (with proper documentation), meet the minimum requirements, and have enough investment (let’s just say it’s a lot more than Taobao vendor requirements). It’s probably one of the largest B2C platforms in China, with about 70,000 brands from over 50,000 vendors, including international brands such as Nike, Dell, Ray-Ban, Uniqlo. 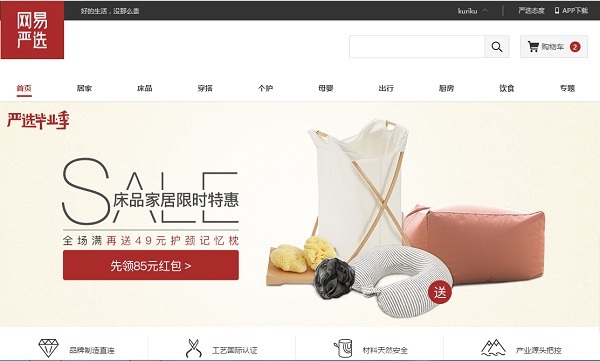 Tmall also has a Hong Kong based international website for its foreign import goods that are stored in China’s free-trade zones. As expected, this site mostly features import cosmetics, beauty products, and baby items (e.g. baby formula). Cash on delivery, Alipay, net banking, bank transfer, credit cards. If you’ve been in China for a while, you’ll remember that Jing Dong (JD) used to be called 360buy with its own merchandise line. JD operates with a similar model to Amazon in that it delivers goods directly from its warehouses to customers and doesn’t have a middle man. JD is most often complimented for its incredibly fast delivery service (can be within hours) and its product reliability (genuine products). 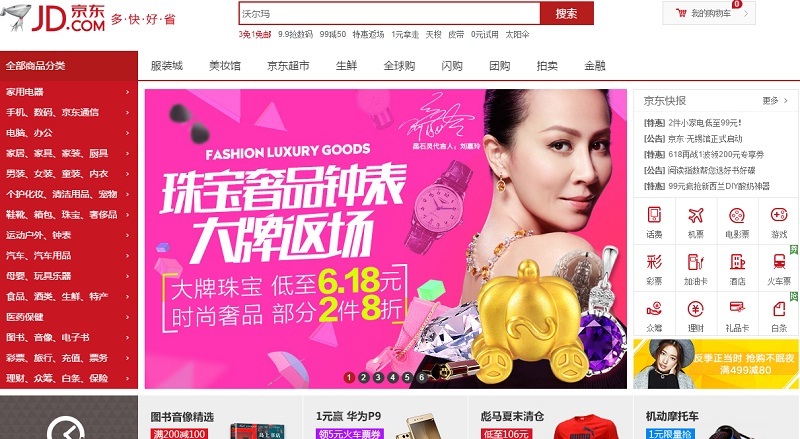 What makes JD the most convenient shopping site in this list? JD can also be found in your WeChat application under Me – Wallet – Scroll down to “Powered by third party operator” – Specials. In addition, JD has a Hong Kong based website called JD Worldwide, which features international brands stored in a different set of warehouses located in China’s free-trade zones. 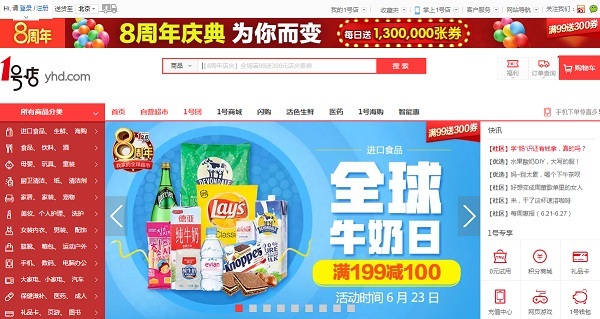 For customers outside China and Hong Kong, JD has an all-English (and Russian) website called JoyBuy, which only accepts Paypal. Your articles and writing are among the Best on the topic in my opinion. So very interesting, as well as useful. Your future looks very Bright!